Racquel is contemplating chopping her ankle-length locs...It took her almost two decades to grow but now she struggles... Follow her intimate journey on myKEEtv.com Your Caribbean TV Los Angeles. Should she hold on to her crown or follow the desires in heart? Miami (Tuesday, April 2, 2019) – The Confederation of North, Central America and Caribbean Association Football (Concacaf) recently announced that the National Stadium, in Kingston, Jamaica will host a 2019 Concacaf Gold Cup doubleheader on Monday, June 17, 2019. This will mark the first time in the tournament’s history that matches are played in the Caribbean, in what is set to be a celebration of sport and culture in this dynamic region. The matches in Jamaica, which will kick off Group C play, will feature the group top seeded team Honduras, as well as the host nation Jamaica. This summer’s Gold Cup will be the first to feature an expanded version, with 16 countries vying for continental glory in what is set to be the largest Gold Cup in history. The stage is set with the 16 national teams qualified, via the 2018 FIFA World Cup Hexagonal qualifier round and the Concacaf Nations League Qualifiers. The 2019 Gold Cup will be the biggest-ever edition of the event, with more participating nations (16 up from 12 in 2017), more host countries (three, including first-time matches in Costa Rica and a yet-to-be-named Caribbean nation), and more stadiums (17 up from 14 in 2017, eight of which are in contention to become a 2026 FIFA World Cup venue). You know her as one of the stars on the hit NBC TV series, This is Us - "Jamerican" actress Susan Kelechi Watson talks about growing up in a Jamaican household. She is on the red carpet at the Ebony Power 100 Gala in Beverly Hills, California. 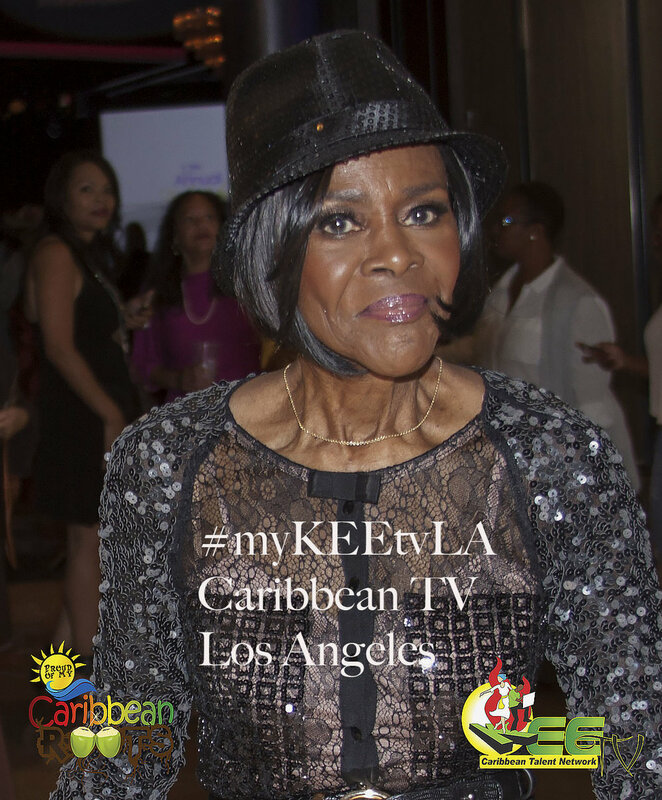 #myKEEtvLA Your Caribbean TV & Magazine • Los Angeles. Here's Who Made it on This Year's Oscar Nominees List? Jamaican artiste, Shaggy, took home the Grammy Award for Best Reggae Album for 44/876 album with Sting. The collaboration with the British Pop singer (Sting) has been enjoying massive success across the globe. Shaggy also hosted the The Grammy Award Premier Ceremony. The Grammy Awards was held in Los Angeles on Sunday, February 10, 2019. The Caribbean meets Hollywood in an eclectic blend of characters and culture in the Caribbean Roots series. A ritzy Hollywood dining establishment serves as the backdrop for this epic television “dramedy” production. Characters are constantly confronted with the challenges of balancing innate Caribbean customs with a glamorous Hollywood lifestyle. It’s a daily roller coaster ride infused with tear jerking stories of love, defeat, triumph, tragedy and humor. Stay tuned for air dates & times. How is Empire's "Boo Boo Kitty" Different from Grace? We are spicing up this season with some Latin flavors for our Spanish- speaking neighbors. New episodes coming soon. Coming this season. We have the youngest TV president in Caribbean showbiz! Join Mia and her team of super talented kids as they explore Cali and kid life in LA. Plus, we have homework club to help you battle the take-home blues. Freddie McGregor, reggae legend and a national treasure of Jamaica. Caribbean soca artiste, KES chats with myKEEtv. Film producer and former Tyler Perry Studios executive, Roger Bobb. Legendary TV mom on the Cosby show, Phylicia "Clair Huxtable" Rashad with myKEEtv. Actor Glynn Turman chats with myKEEtv. It was electric! myKEEtv was invited to celebrate with singer Kelly Price at her birthday party in LA. In this pic, singer Gerry Levert serenades the Kelly for her birthday. myKEEtv caught up with singer Chante Moore as she arrives at Kelly Price's birthday celebration in LA. Korean-American pop star Brian Too gives a shout-out to the Caribbean. Actor Anthony Anderson share a moment on our red carpet with myKEEtv host, Christelle. Gospel duo Mary Mary chats with myKEEtv.